The first in a row of Meet Magento events in 2014, took place in the beautiful city of Madrid with over 300 attendees from so many countries all over the world. People that attended the event, the educational part, and one of the most beautiful cities I have visited, were the perfect recipe for a good fun. On the 4th and 5th of March our friends from Interactiv4, led by their CEO Ignacio Riesco, organized their very first Meet Magento in Spain. Although it was their first, it could not have been said while being there. They pulled it off perfectly, from the quick check-ins, lovely staff, delicious and rich buffet to great keynotes and organization overall. 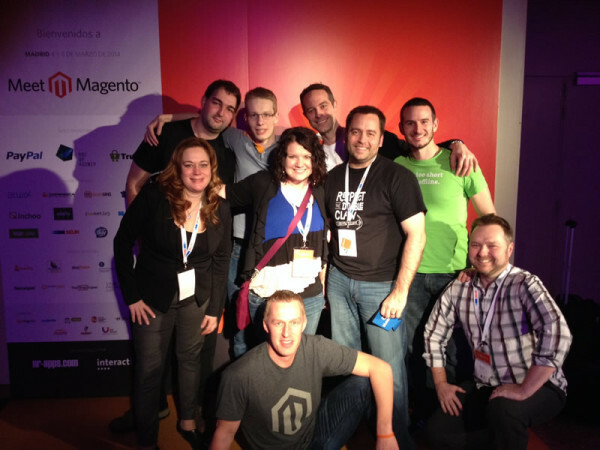 This was my first visit to any of the Magento events and although my expectations were high I wasn’t let down. The event was organized in two days. The first day started with Ignacio’s welcome speech, thanking all of us who got there in such a number and to all of the speakers and sponsors. 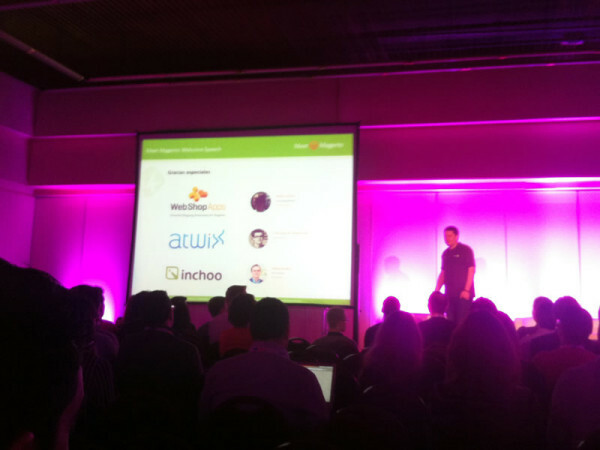 Together with WebShopApps and Atwix, Inchoo had a special thank-you moment, too. I have to admit that I felt proud to be a part of it, not to mention our CEO Tomislav who was on the picture. 🙂 The entire day went in Spanish tone. From what I was able to read from the schedule, there were a lot of great keynotes. Too bad they didn’t have them in English since my Spanish vocabulary is only a dozen of words. 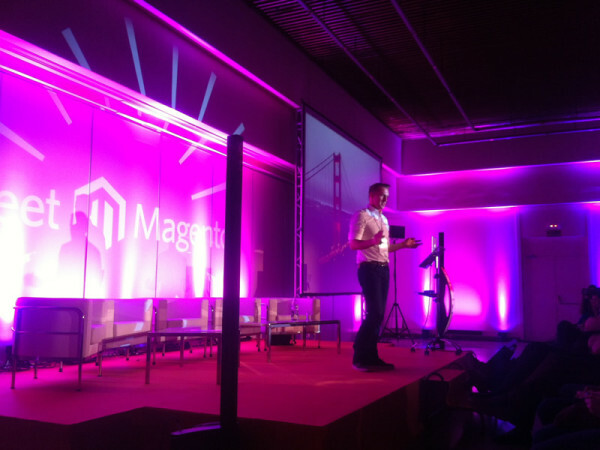 The second day was a whole different story where big names in Magento industry took their place on the stage. Two tracks were available, Business&Marketing and Technology track where I attended only the 2nd one (surprise, surprise). A lot of great speakers showed up, like Viacheslav Kravchuk, Bastian Ike, Vinai Kopp, Ben Marks, Ivan Chepurny, Kimberely Thomas, Kuba Zwolinski, Guido Jansen and many others. It was interesting to listen to how others solve the problems that we all share, how they educate their new employees or some of them pointing to Magento bugs and how to solve them. There was no heavy Magento stuff or heavy coding as some of you may think. Keynotes aside, the main reason for having the Meet Magento event was to meet people from our industry. The world is small and we’re all connected, but sometimes that’s not enough. It was a great opportunity to meet people who we chat with and people who make all of this running. There were so many people from all around Europe and even a couple of them from the United States and Canada. That’s what’s called a real international event and this is a great example of what one community is able to do. As much I’ve seen general PHP folks poopoo on Magento, our community is like a model of awesome, int’l friendship that gets things done. The city was perfect and weather was, well, ok for Spain. 😉 If you haven’t been in Madrid it should be on top of the cities to visit! The city is beautiful with lots of history and culture and everything worth seeing is within walking distance. The city may not have any world famous attractions, at least not for me, but once I got there it wasn’t even relevant. The Retiro park, which was close to the hotel where the event was, Plaza Major, the city center Puerta del Sol, Prado museum which is famous for Rembrandt’s, Velasquez’ and Goya’s paintings, the famous shopping street Grand Via, Plaza de Cibeles, Royal Palace and many more. 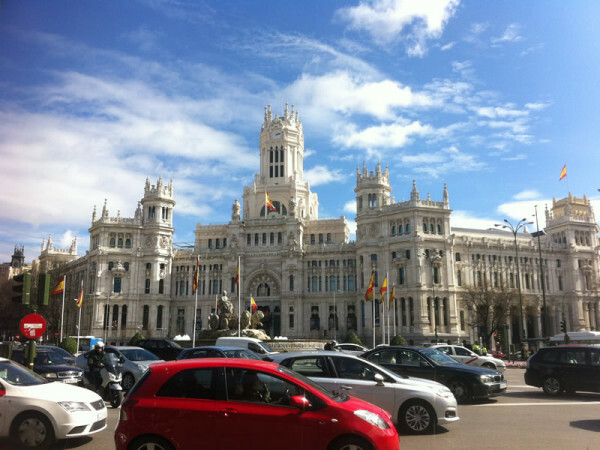 Madrid is a big city with wide and clean streets, beautiful facades and nice people. This was just the beginning of the Meet Magento events this year. There’s a lot more events to come – Germany, Netherlands, Italy, Poland, Romania, Russia, and all the way to warm Brazil, are all planned for this year. With community like this, there’s no reason that any of them wouldn’t be as perfect as this one was. Big thanks to Ignacio from Interactiv4 for gathering us all together and organizing the event. You did the excellent job! Also, thanks to all the nice people that I met and that made the conference as awesome as it was! I hope we’ll all meet again on many more conferences… or any other occasions.